Multimedia magazine EstiloDF visited Mexico’s Pacific Treasure and showcased the Destination on its different platforms throughout the country’s capital. 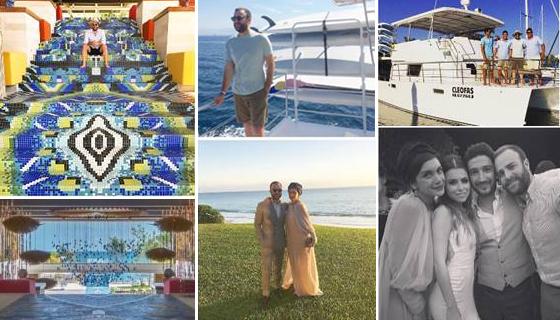 The Hotel W Punta de Mita invited EstiloDF magazine for a visit with support from the Public Relations desk of the Riviera Nayarit Convention and Visitors Bureau, resulting in a stylish promotion of both the resort and the Destination within Mexico City. The main objective was to showcase the charms of the Riviera Nayarit’s latest resort in Punta de Mita. Besides highlighting the Hotel W’s design, fashion and excellent service, the publication also presented the attractions of the microdestinations flanking the property. EstiloDF is a multiplatform magazine issued weekly with a 120-point distribution in the corporate and residential ABC+ zones within Mexico City. This free publication focuses on soft news with a modern presentation. Its editorial offers its audiences tips and advice on beauty, health, fashion, sports, gadgets and entertainment topics, as well as general interest stories. The magazine also has a TV program on Sony Channel called Cuídate de la Cámara (Beware of the Camera), hosted by Edy Smol and transmitted during prime time on Mondays with Rebbeca de Alba. The platform includes an Internet news program on the estilodf.tv portal hosted by Max Villegas which also has a “movie minute” version shown on screens in Cinépolis and Cinemex theaters. Max Villegas himself headed up the adventure directed by the Hotel W Punta de Mita that took him snorkeling, scuba diving, SUP and even surfing in the Riviera Nayarit.